Much like NIVEL’s National Survey of general practice. , the Deliver study is concerned with the organization and quality of care. Its aim is to survey and describe the current patterns of demand and service provision in midwifery. To this end, current data essential for further scientific research in the field are collected. The central theme – primary midwifery – is examined from various angles and the data can be cross-linked. Developments in care can be properly evaluated and input can be given for new developments. The research also sheds light on cooperation with other professionals, such as GPs, maternity carers and secondary carers. Finally, the Deliver study output will enable policy makers to make science-based choices for the future. Deliver will realize the ambition of building up a picture of midwifery’s many facets, which is valid for the Netherlands as a whole. 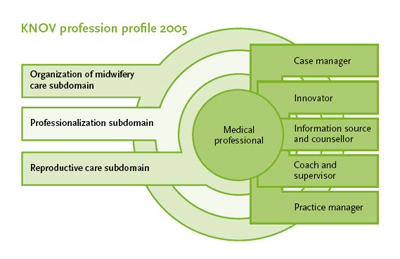 It is based upon current professional practice, as defined by the Royal Dutch Organisation of Midwives (KNOV) in its 2005 profession profile. The goal is to be able to publish the study findings as part of the 150th anniversary activities in 2011. Also, it is also hoped to tie in with the National Survey of General practice.